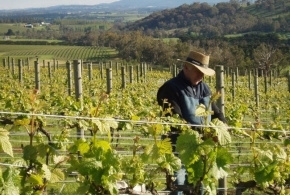 Atika wines was established in 2001 by Phillip Taylor and his wife Betty Taylor. The first Atika vintage was produced in 2007. In 2009, Phillip and Betty moved to the vineyard permanently and in the years since have continued to develop the Atika property. They are currently planning a new patch of vines on ‘Robin Hill’ – another site on their property – which is slightly hotter and more undulating than the existing site.